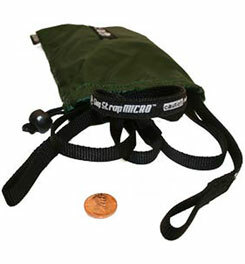 The ENO Slap Strap Micro is a unique, simple to use and quick hammock hanging system. With this system you won't have any ropes or knots to deal with and it sets up in seconds. 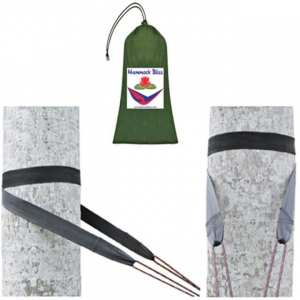 It is constructed of tubular webbing and has a rating of 200 lbs. (per strap = 400 lbs. total) and is sold in pairs. 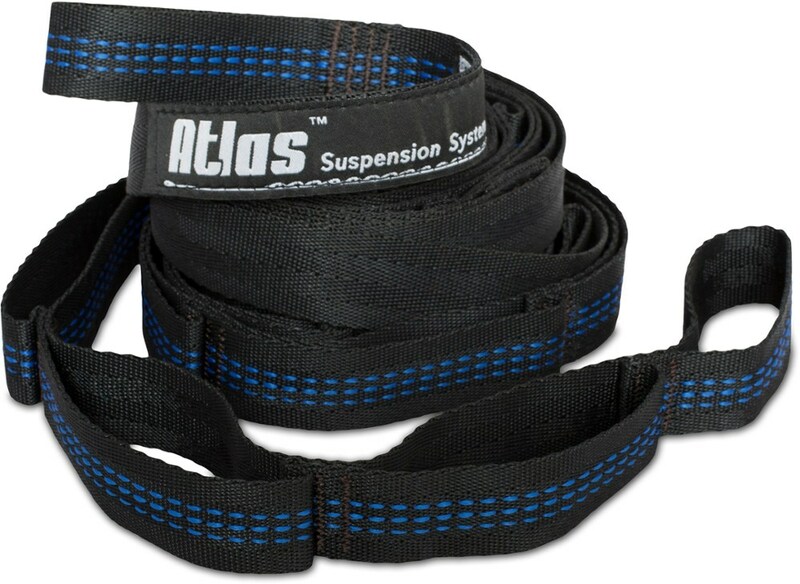 The .375", soft, yet durable webbing is very tree friendly. 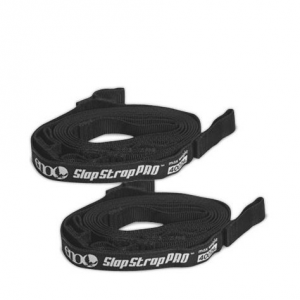 The Slap Strap has a loop on one end which is wrapped around the tree and the other end is passed through the loop and snugged up against the tree. Along the remaining length are 6 loops sewn in to the strap to attach the hammock. 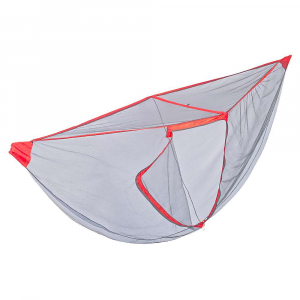 This system allows for easy hammock hanging and adjustment over a distance of up to 20 feet. It doesn't get easier than this. 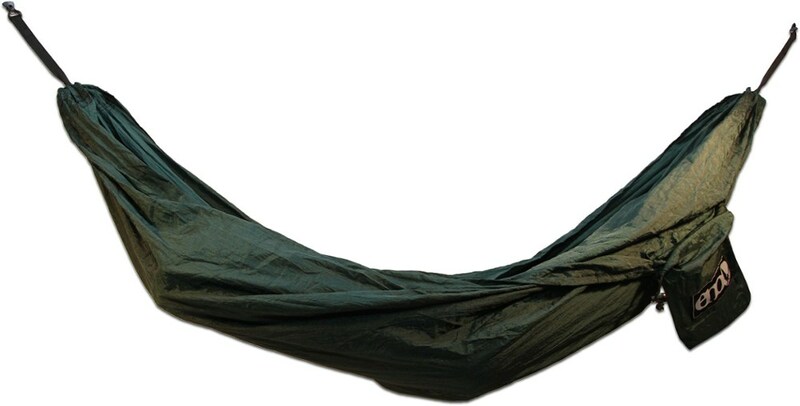 Add a pair of carabiners and you can simplify hanging any brand of hammock.92 inches long.375" soft, UV treated nylon webbingWeighs 2.5 oz. each total = 5 oz.Includes 2 Slap Straps. Completely adjustable Very tree friendlyQuick and easy setup and take down. 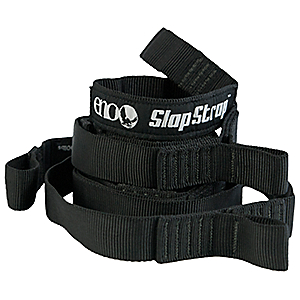 The SlapStrap Micro has been discontinued. The Eagles Nest Outfitters SlapStrap Micro is not available from the stores we monitor. It was last seen March 4, 2010	at Campmor.